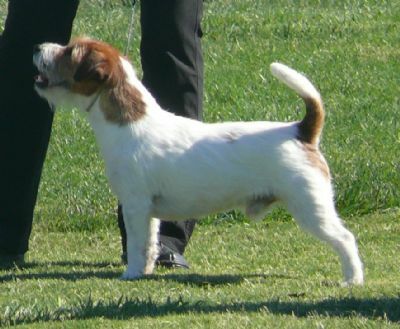 Since purchasing Fergus from Mindura Kennels in NSW,our family has had nothing but total enjoyment in watching him mature into what he is today, a fine dog. 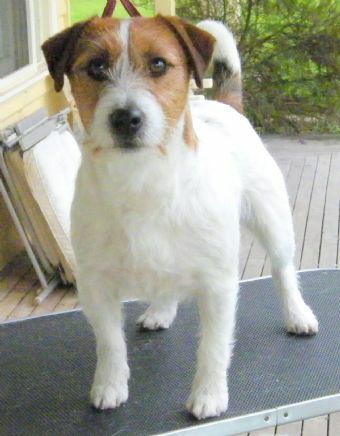 He gained his Au Ch title in 2007, only to continue to win both here in Victoria and in NSW, gaining his GRAND CHAMPION TITLE in 2009 well before the age of 4, one of the very few Jack Russells here in Victoria to obtain their Grand Champion title at such an early age. 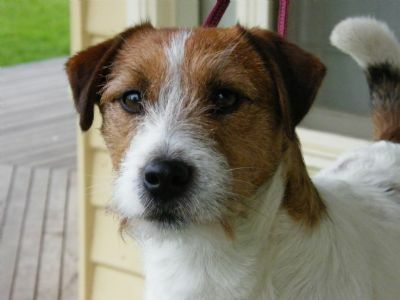 To cap off the year of 2009 Fergus won BEST IN SHOW at the Jack Russell Terrier Club of Victoria's Annual Championship Show, against quality compitition from other states in Australia. We look forward to a bright future for all our jacks, both in pet homes and show homes. Fergus retired from the show ring many years ago, and now lives with his Grand Ma Ma who has been his greatest fan from day one. We have his daughter Kermalor Black Pearl who has produced our newest successful girl - Ch Kermalor The Wicked Wench (title pending).